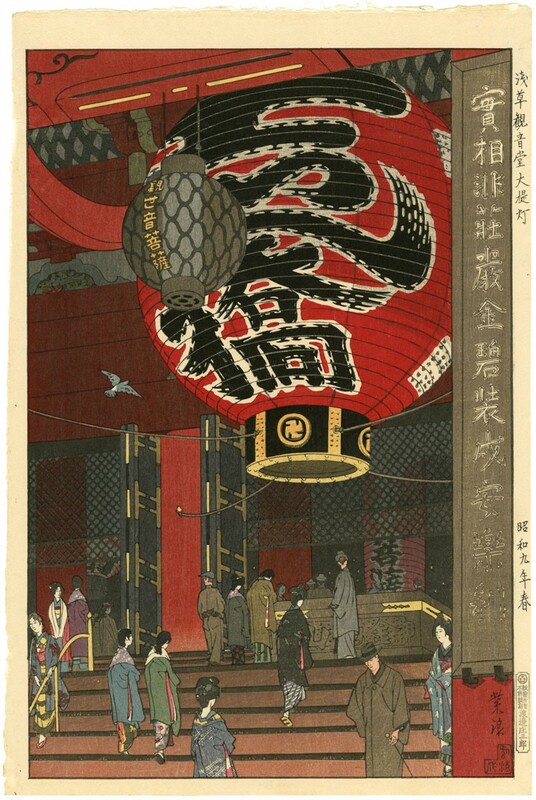 Description: The Great Lantern of the Kannondō (Sensō Temple), Asakusa (Asakusa Kannondō daichōchin). Published by Watanabe Shōzaburō in Spring 1934. Condition: Very good impression, colour and condition.